16 January 2019 (Hong Kong) – Legendary action master Sammo Hung is the 43rd Hong Kong International Film Festival’s Filmmaker in Focus, it was announced today. This is a well-deserved recognition for the all-round virtuoso who stands as a living testimony of Hong Kong cinema’s Golden Age and for his trailblazing career, having worked his way from actor, stuntman, martial arts choreographer, to director and producer for over half a century. The retrospective honoring Hung will feature 10 of his seminal works, along with a newly published commemorative book. Hung will also attend a Face to Face seminar at the Hong Kong Cultural Centre on 30 March 2019, to share his views of and experiences in the film industry with members of the public. Born in Hong Kong in 1952 to a showbiz family, Hung received specialized training in Peking Opera in his childhood at the China Drama Academy under Master Yu Jim-yuen. He later became the lead member of Yu’s performing troupe, known as “Seven Little Fortunes”. His screen career started in 1961 as a child actor in Education of Love. Shaw Brothers’ The Golden Sword (1969) saw his rise to the position of martial arts choreographer which he later combined with an acting role in renowned director King Hu’s The Valiant Ones (1975). His mastery won him his first Hong Kong Film Award for Best Action Choreography for the 1981 kung-fu comedy The Prodigal Son. Extending the magnitude of his filmmaking career, Hung co-founded several film companies through which he produced, directed and acted in countless iconic Hong Kong films. 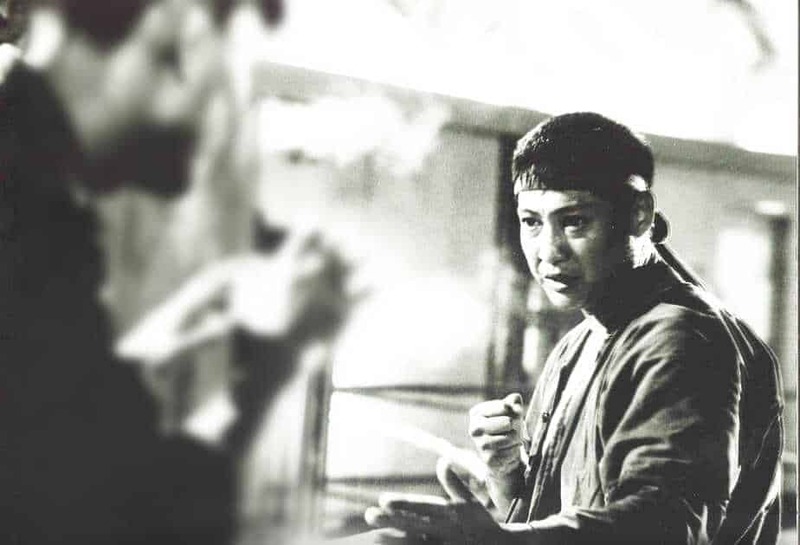 He also started the Sammo Hung Stunt Team to train and nurture new talents. The industry heavyweight, known affectionately to fans and industry colleagues as “Dai Gor Dai” (the “Big Big Brother”), is credited for having launched the Chinese vampire horror-comedy genre with Encounters of the Spooky Kind (1980). He further explored action comedy with the Winners and Sinners (1983) series, rivalled Hollywood production with the war-themed Eastern Condors (1987) and proved his chops as a nuanced actor in Eight Taels of Gold (1989). Hung’s acting prowess was recognized with two Best Actor awards from the Hong Kong Film Awards for Carry On Pickpocket (1982) and Painted Faces (1988) – the latter for his realistic portrayal of his mentor, Master Yu. He added to his trophy haul with statuettes for best action choreography for Ip Man (2008), Ip Man 2 (2010) and Paradox (2017). With more than 250 films under his belt, Hung’s versatility and creativity has inspired generations of aspiring filmmakers, making him a true icon of the spirit of the Hong Kong film industry. The Hong Kong International Film Festival is proud to honor this outstanding filmmaker with this retrospective. Admission to the seminar is FREE. Details of online registration will be announced on the HKIFF official website and its Facebook page later.